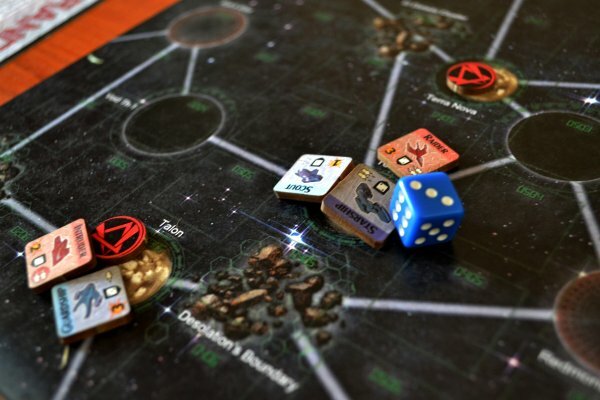 Do you like the idea to rule over the galaxy? So you can forget about this game. You will be merely a speck of dust in an endless desert. You will fight in battles so small, nobody except you will remember it in a few years. And that´s right, welcome to small world of Star Borders: Humanity. I do not want to command huge armies, as I once was. I command the weak and inexperienced pilots and we are fighting in battles, that almost nobody cares about. 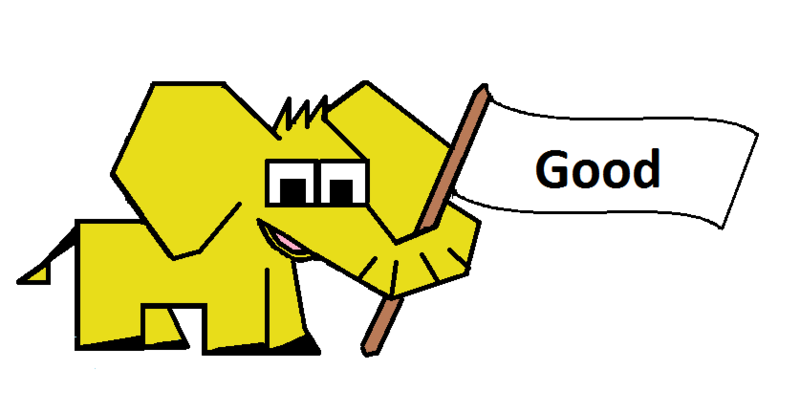 If I lose, nothing special happens, and if I win … well it also does not mean much. At least not for them. But I want to win, there is no battle, I would like to leave as a loser. Never give up and today is no exception. As we said earlier in introduction, this game is not about playing for anything big. All we want is crystalline gameplay, so simple its actually hard. Actually, something like chess. In this case seasoned with some dice. 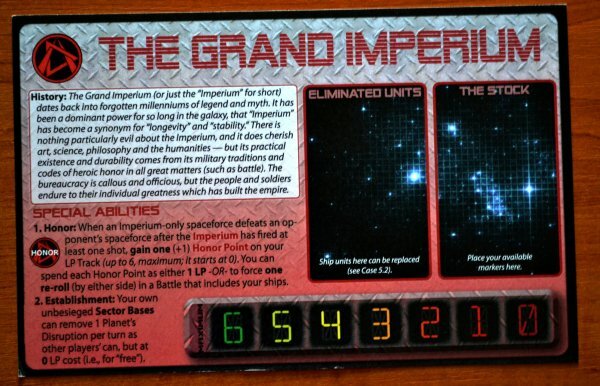 Do you think, that a small battle on the frontiers of space must be unsensational and boring? You are sadly mistaken, because Star Borders: Humanity shows it out of the park. 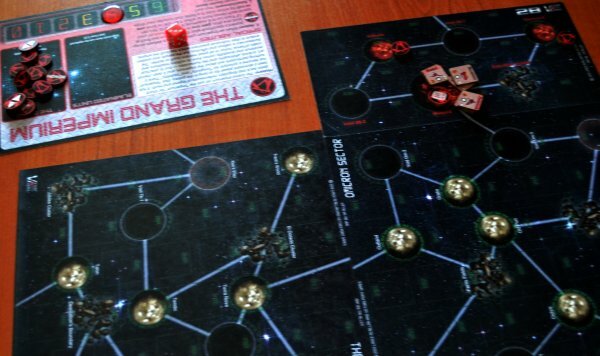 In this game, designed exclusively for two players duels, we become generals of one of two factions and go forth to battle for space borders. 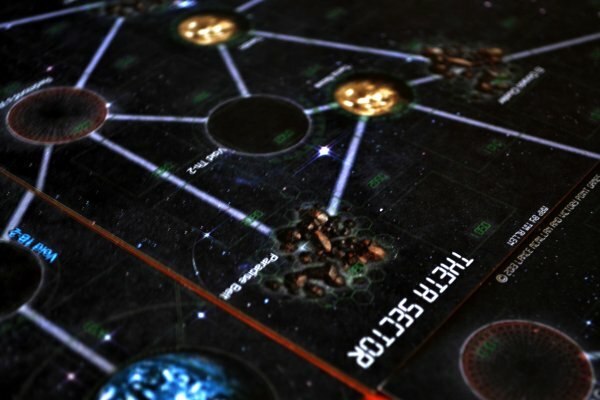 Conditions of victory and in what space sector struggle will commence is specified by one of the eight available scenarios. 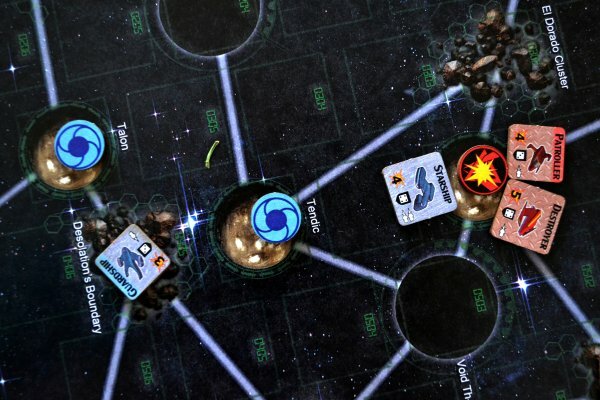 Sectors consist of interconnected systems of planets and asteroids. 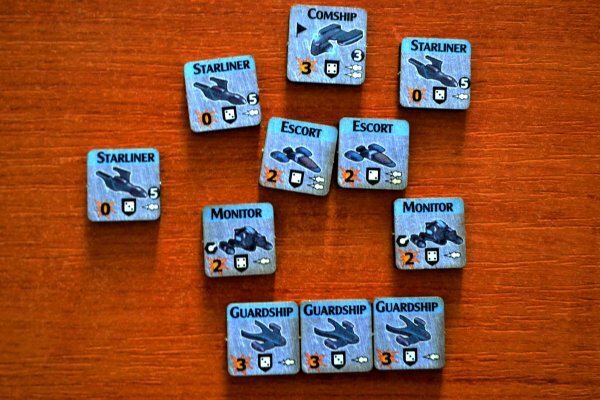 Players will fly with their troops between various segments and subsequently also occupy them. For most of the match, our task will be to have more territories in possession, than opponent. 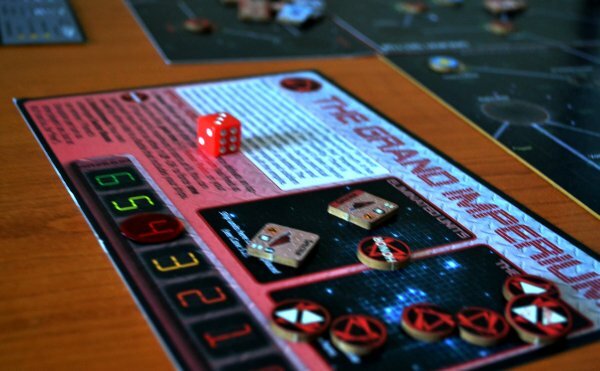 Each scenario is different enough and also each playing is variable, so there is no going old-fashioned with more games. 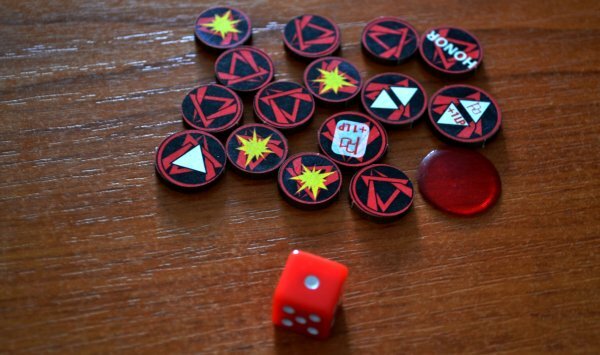 In addition, this game has directly built in “do it yourself” system, so you can form your own battlefields or even victory conditions. And who should we thank to for bringing this game to our tables? 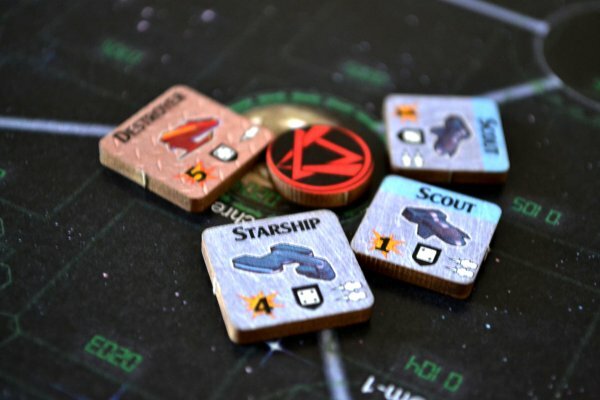 Above all, its creator Lance McMilan, four illustrators (Tim Allen, Nathan Hansen, Christopher Magoun, Richard Starke) and least, but not last, Victory Point Games, an independent publisher of board games. Fact of their independency unfortunately significantly influenced quality of all the components. 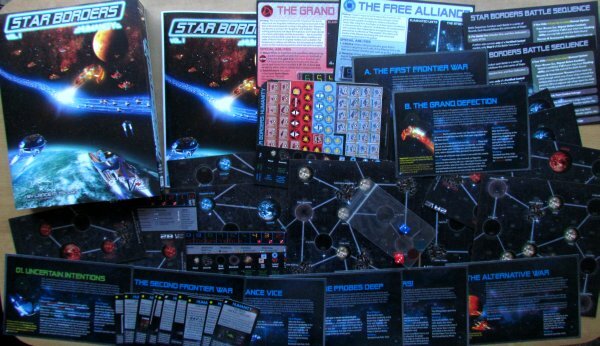 Thus, when we arrive to look at the very content of the box, first surprise is, that all game material is kept in narrow cardboard box. It looks something like a shoe box with mounted protective cover and game image. In addition, all of us are convinced, that box appearance is not the most interesting property, but the gameplay is. But then, components inside the box are of no better quality. There are 12 cards with nice illustration on the back, however they have poor quality of paper, easily bent, as well as another part of the package: 8 large cards scenarios. 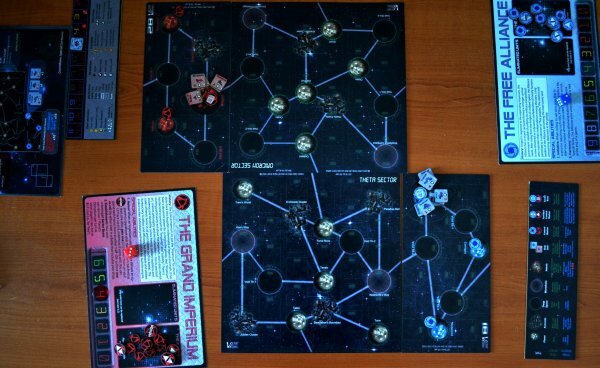 They determine victory conditions and balance of power on the map. 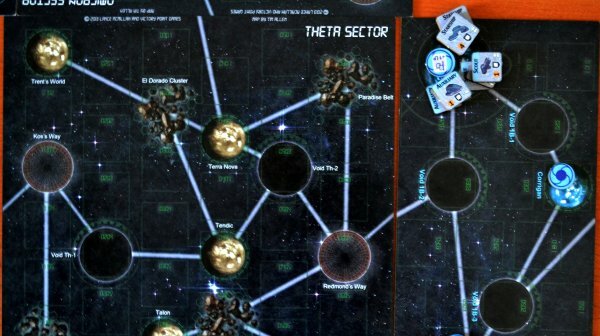 Now we finally get to the true spice of this game: 6 map tiles showing parts of the galaxy, with marked planets, asteroids and black holes. This is the place, across which the whole warfare will take place. 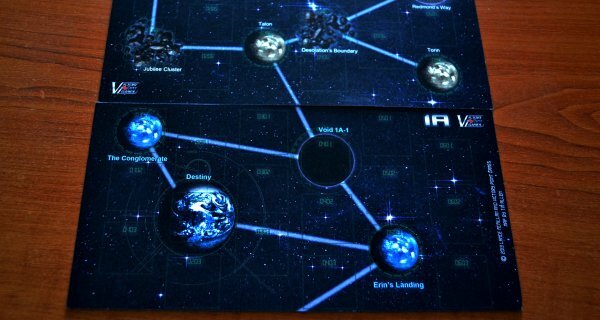 Because the map is divided into six tiles, you can create your own custom layouts and maps with custom scenarios. Illustration work is again good, just the quality of the material is a no-no. Finally, there are auxiliary cards for both players, counter of turns and then two tiny plastic cubes in two different colors, depending on the fraction: red and blue. Each player can choose one of two factions. These are really quite different and each of them requires a totally different approach. Additionally, each scenario provides access to needed change. So playing for each fraction is completely unique experience. Let´s however go back to description of the setup. After splitting factions, its time to choose a scenario. According to the instructions in particular story, there is a distinct number of rounds and players prepare their base. 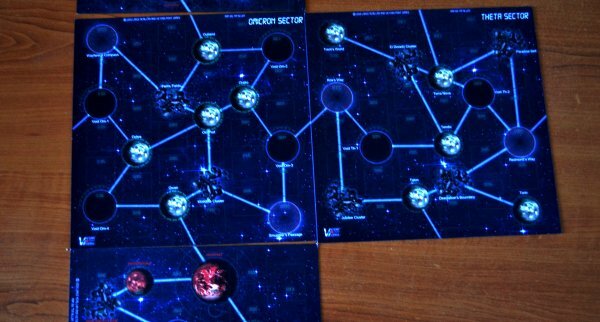 Both rivals place their token to determine current status of resources (logistic points, hereafter LP). Now the actual game starts. 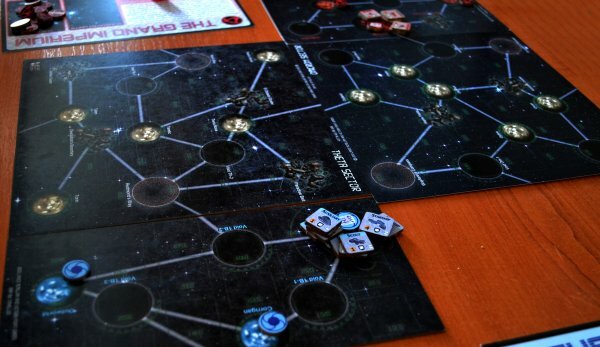 When player´s turn comes, he can purchase a development card, repair his ship or ask his base for reinforcements. All players must pay with their LP for this. 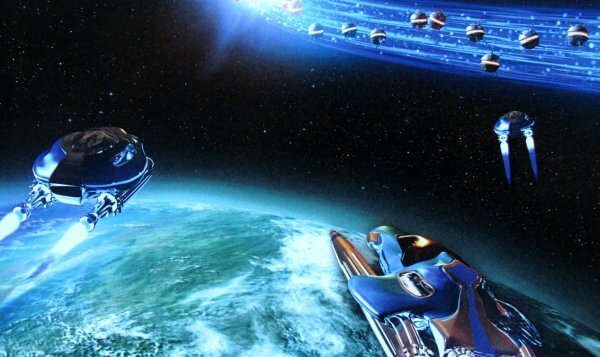 Spaceships can then be moved on pre-drawn lines between planets. 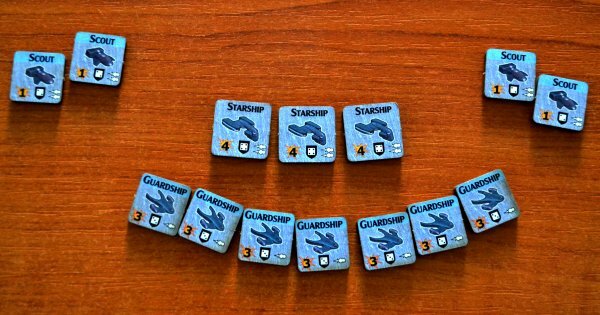 Movement rules are very simple, while ship can move according to its engine power (that many spaces) and all this for one LP. 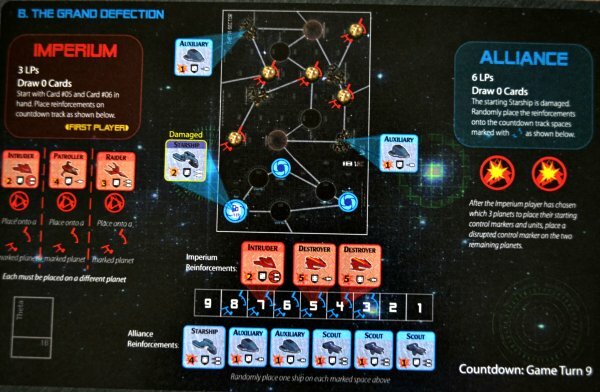 Movement is most important part, as players are trying to occupy as many planets as possible, but at the same time, they must think to keep currently owned planets under their control, so using only one ship is not the best solution.And why should they even want to occupy planets or asteroids? There is no other meaning to this, than to obtain main currency in the game: LP. Initially, planets are vacant, so they simply fly there and they are seized. Sooner or later, however, funniest part of the game starts: battles. 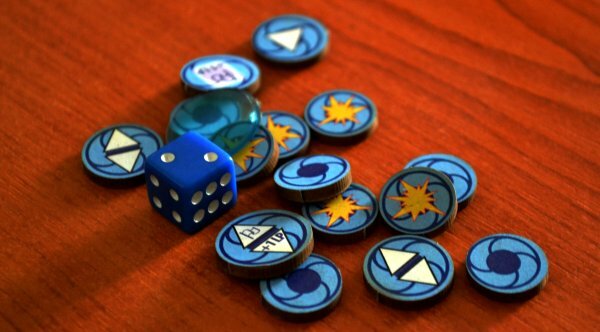 These are solved using dice and we must say, that they are more than fun. And all this thanks to a simple system, where attacking player must roll number under his firepower. If he succeeds, opponent chooses ship, which is hit. He can try to avoid it. 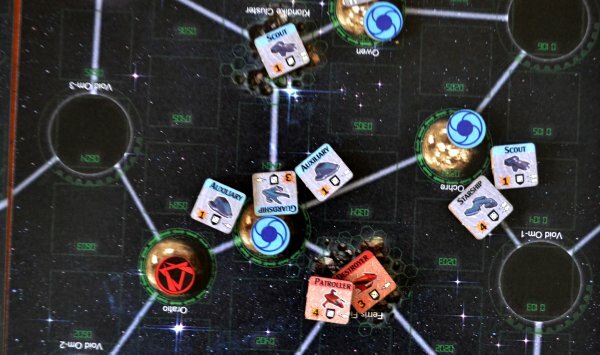 Then the attacker alternates with defender again and again until someone gives up the fight or got all his ships destroyed. An attacker may even group his ships together and therefore increase likelihood of hits. 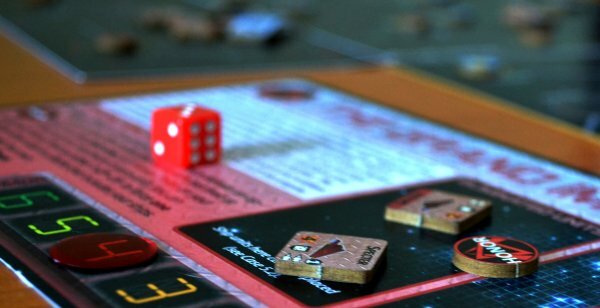 Battles of course mainly rely on luck, but perhaps this is an advantage for this game, because sometimes movement planning is difficult and you will be happy to rest in a cliffhanger battle. 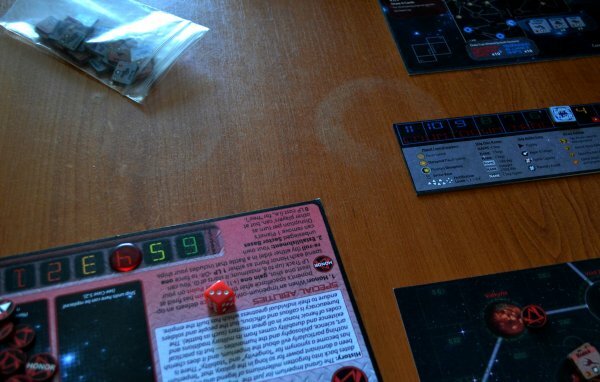 Finally, when you add up all controlled planets, player gets the appropriate number of LP. How simple, yet so fun. Nothing else to say, than: simple is good. 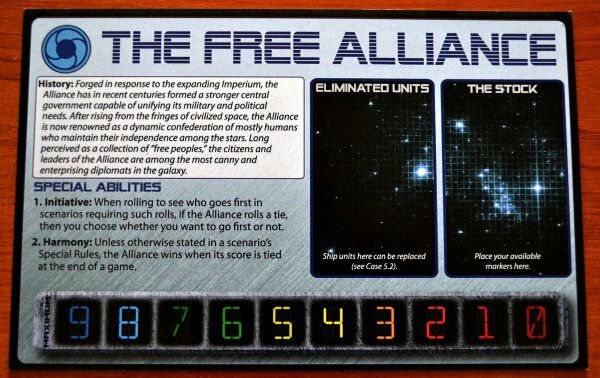 A where lies strength of Star Borders: Humanity is, that even for such a simple game, it has a lot of nice details. 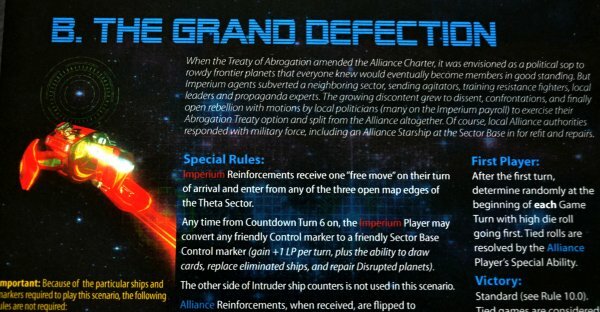 Such as damage to the ship or movement in the group. 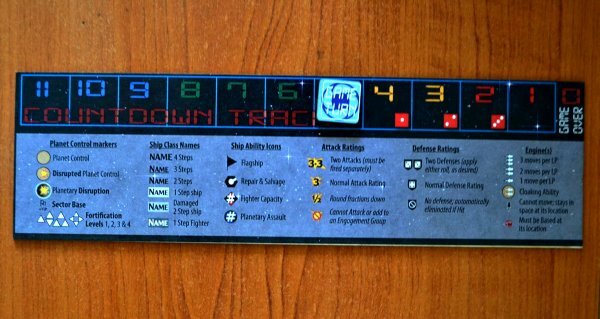 These little things are still solved simply and elegantly: Is my ship damaged? Lets turn it to the other side. 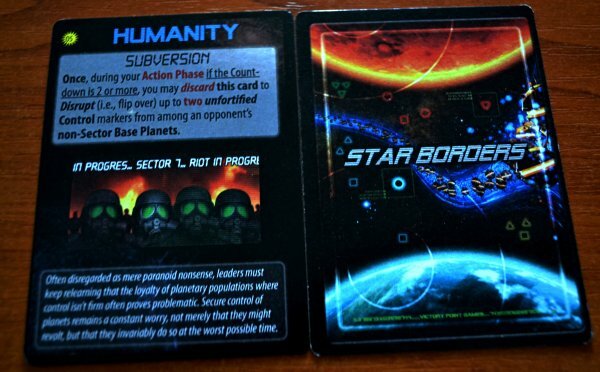 Star Borders: Humanity is just very simple game, with the right ratio of strength between strategical and tactical site. But it is not dull and brings often surprising fights, so it´s more fun, than many other games for two. Maybe you will miss feeling of challenges and you will feel, that victory is not in your hands. That´s about the only downside of this flexible and stylish game. When we created previous paragraph, that these are the only negatives, it was not entirely true. They were meant regarding gameplay side of the game. As for the quality of the material, we have to subtract some points. And rules were really painful to read (parts with sub parts, which are further sub-sub parts, etc..) and these are not well done. And the worst part is the fact, that this game is simple enough to describe it easily. 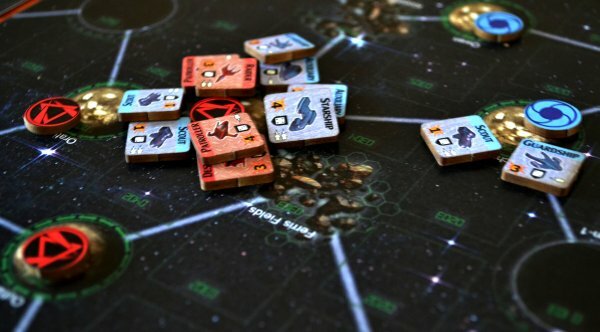 Star Borders: Humanity is simple, pleasant, exciting and customizable game, but it will never be as strong as other pieces in boardgaming universe and so targeted to masses. 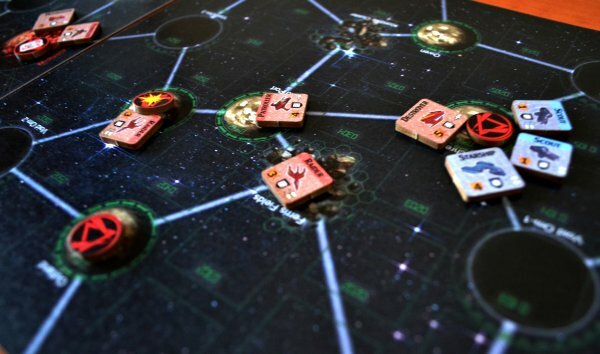 It points its fun to players, who enjoy fun over the looks. Yes, this is a really good game, unfortunately dragged down by terrible rulebook together with low-quality gaming material. In any case, you definitely might want to purchase it at least, because ugly shell hides quite nice duckling.